The lack of demand for 0.50%S product in the majority of markets is not due to a lack of availability, says Vitol. 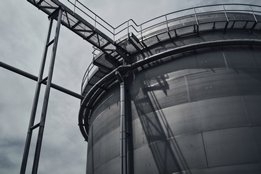 "We have a batch of 0.50% in a 50,000 tonne tank ready for sale," Vitol's Mike Muller told delegates gathered at the recent FUJCON event. "No one is buying as the price is too high and people don't need it yet. But it's there, it's ready and we've proven it works." With the 0.50%S global cap coming in to force from January 1 next year, demand for such products is widely expected to pick up in Q3 and Q4 this year. There is already some demand for the low sulfur fuel in China, where a 0.50%S cap is already in force within certain emission control area (ECA) zones.